Even though Sonic has made the way from SEGA, this loveable super fast hedgehog has had his ups and downs over the years, however he is still an integral part of the gaming franchise and is definitely in the top ten of famous video game characters. With that said, SEGA have created the next story for Sonic in Sonic Unleashed that once again follows our hero as he attempts to save the world again. The story of Sonic Unleashed revolves around Sonic attempting to save the world from the diabolical Dr. Eggman as he unleashes a variety of strange beasts upon the world again that has also effected our hero. Featuring a variety of Sonic guest stars, the storyline is pure cartoon goodness and will have fans of the series squealing with joy... and even new fans. It should be noted that Sonic Unleashed is also available on the PlayStation 3 and the XBox 360, however the developers have ensured to make this a unique experience on the Nintendo Wii with not just the unique control system but also the gameplay which is by far superior on the Wii than its next generation cousins. 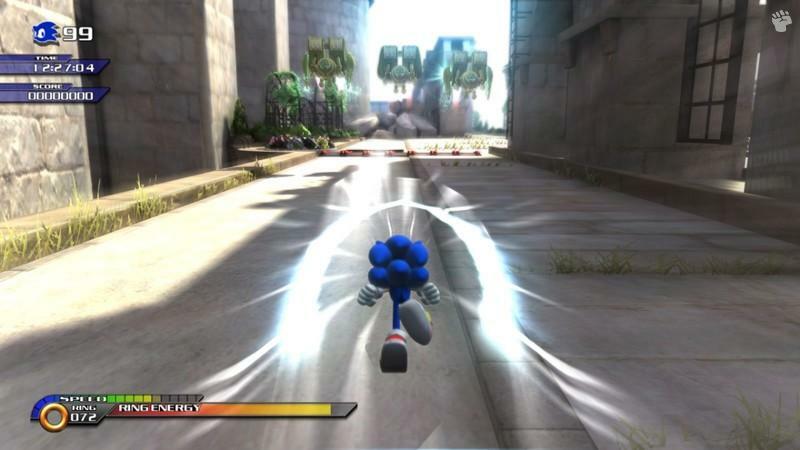 In its essence, Sonic Unleashed features your traditional Sonic mechanisms from running at high speeds, exploring vast areas and defeating a plethora of enemies. The gaming environment of Sonic Unleashed is gigantic and thankfully the game keeps a tab of where you should be in the title, rather than pointlessly wandering through this detailed environment. Probably one of the most innovative arcade series of time, Sonic still manages to deliver as you collect items, uncover secrets and attempt to proceed through the title. The “carrot” in Sonic Unleashed is the ability to change into a lycanthrope hedgehog as it becomes dark in the title which allows for additional gameplay mechanics and assists in the overall enjoyment of the title. Although the game is quite linear at times, this gives the gamer a purpose, unlike a Sandbox experience arcade that is sometimes a little too open. The Wii control is perfect for Sonic Unleashed and although it may be a steeper learning curve than average, it’s definitely worth the effort to master the control system due to the amount of entertainment which can be gained from this game. The motion sensor ability of the remote and the nunchuck works quite well when you are the werehog, especially for combat, although be warned, you may become a little tired. 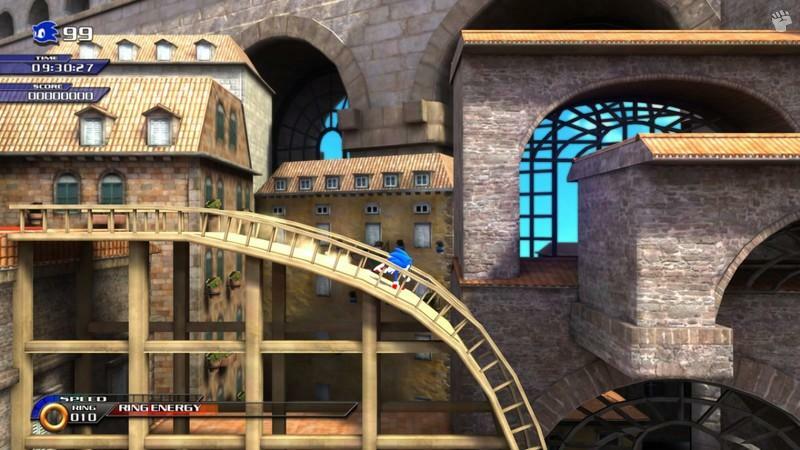 In relation to combat, Sonic can perform a variety maneuvers which work well with both the gameplay and environment. By defeating foes, you are awarded experience points. There is a slight RPG aspect to the title, although it does not really effect the outcome of the title. 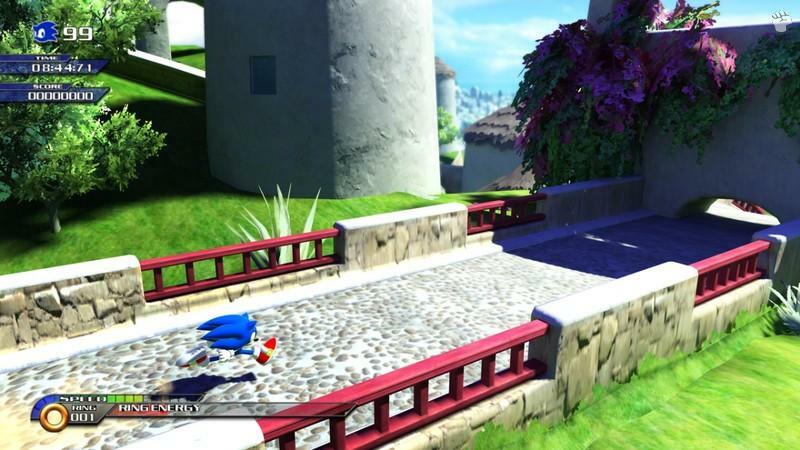 Sonic Unleashed has some great graphics on the Nintendo Wii with some varied gaming environments from lush jungles to frostbitten ice lands. Featuring some great special effects and some detailed and well animated characters, this is one first class game. The title contains a good camera system that is not as clumsy or awkward as some other Wii games and in conclusion is visually a decent looking game on the Wii. Match that with great "Sonic" inspired music and sound effects and Sonic Unleashed is an overall well designed game. At the end of the day, Sonic Unleashed features traditional Sonic gameplay on a 21st century console as you race through loops, smash through walls and defeat an almost unending supply of enemies. Match that with some great mini-games, although some extremely frustrating and Sonic Unleashed is a sturdy arcade experience that you will enjoy from start to finish.